Amazon wants you to shop for the holidays in augmented reality. The company has rolled out its Black Friday deals store, with bargains offered through the day after Thanksgiving. For the first time, augmented reality is an option. Amazon says iPhone customers can shop for home office products, decor and electronics -- and get a look at how those products would look in their own homes. Here's how it works: Customers with iOS 11 installed on their iPhone 6S or later can choose to shop in AR through the Amazon App. There, they can pick a product -- including furniture, appliances, toys and electronics -- and overlay it onto their living spaces to see how it fits. The app also allows products to rotate a full 360 degrees. Amazon (AMZN) already has a slew of other ways to shop, including its traditional website and app. 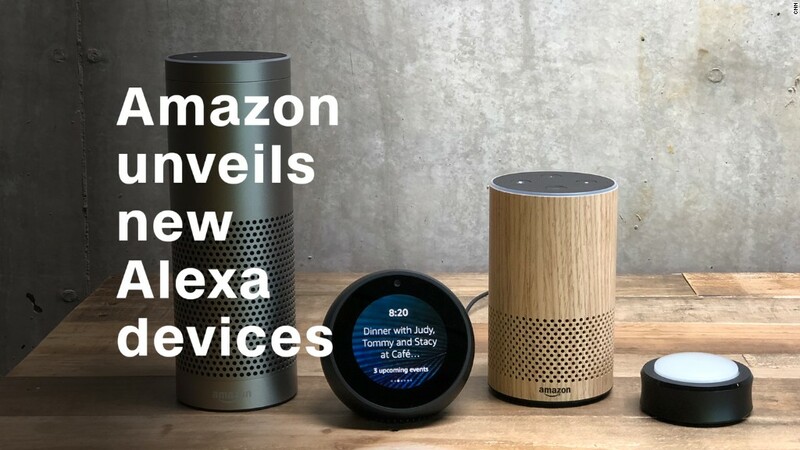 Customers can shop by voice using an Alexa-enabled device. And the company is touting its physical bookstores, as well as a new service called Treasure Truck. Customers can sign up for notifications about special offers that they can pick up from trucks that will roll through 25 cities. Deals are already popping up. On Wednesday, Amazon's offers included a $150 Dyson vacuum cleaner (50% off), a $119 Black & Decker tool kit (35% off) and a $20 Tickle Me Elmo toy (33% off). The company says to expect deals throughout the season on TVs from LG, Samsung and Sony, along with toys from Lego, Nerf, Star Wars and others.